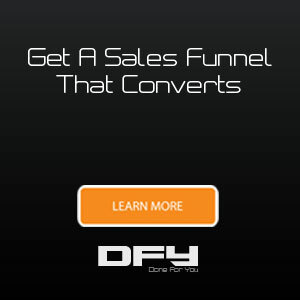 Digital sales funnels are crucial for businesses that depend on the internet to generate leads. They are so vital that without those sales funnels in place, anything you do on the web is tantamount to throwing money out into garbage. Traffic, i.e. website visitors, coming in from social media? From organic search? From paid ads? From direct traffic or referral traffic? 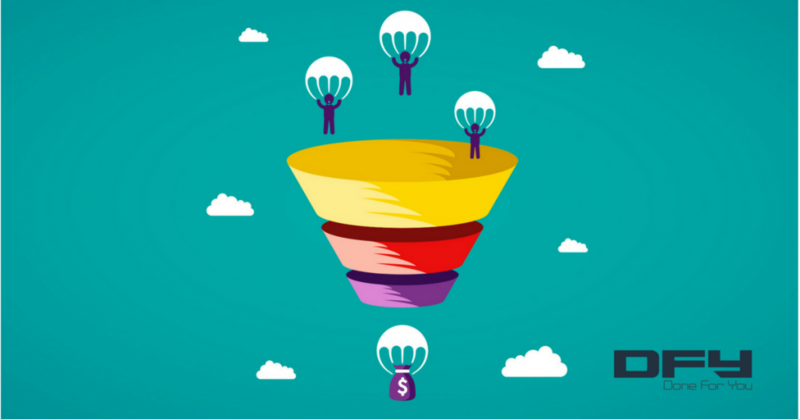 Sales funnels help channel all the relevant, incoming traffic to pre-designed and strategic funnels to help guide them through your buying process. 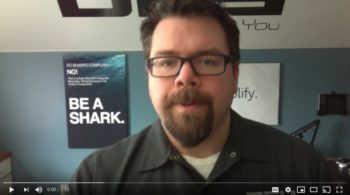 Your digital sales funnel could start with a free giveaway or a free trial. Either is intented to entice a first-time visitor to give up their email so you can contact them again in the future. 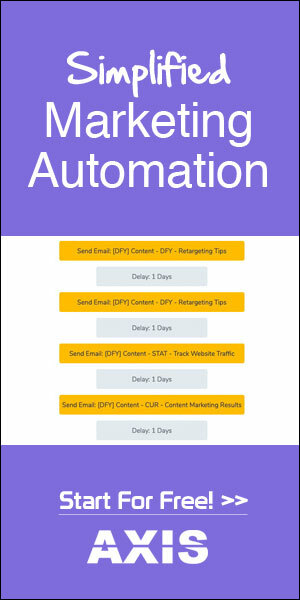 With lead nurturing autoresponders smartly laid out, your funnel gets to work automatically with every lead who signs up. Eventually, sales happen. If you’ve setup your funnel right, this should work like a charm. Sales come in and pipeline fills up automatically. 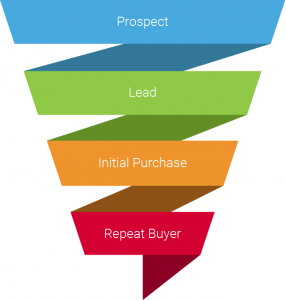 You need a digital sales funnel because 73% of leads don’t even want to be sold to. What they want is to buy what they need to buy when they need to. Until then, your job as a business is to nurture those leads. Do it right and your sales figures will fly like a bat out of hell. But then, why doesn’t it always work? Why do businesses still struggle to construct sales funnels that work like a charm? If it were that easy, anyone would do it. Digital sales funnels are much like Lego blocks – you’d have to bring various elements together to make it work. 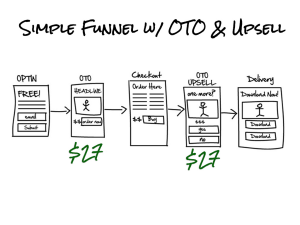 Usually, funnels start with landing pages where people opt in for your mailing list. In some cases, you might have multi-step landing pages. Then, you’d have a thank you page (or a confirmation page). Some marketers and businesses also use intermittent pages for upselling or to make a one-time or special offer. Once people sign up at the top of the funnel (at the landing page level), you’d have an automatic sequence of emails that go out to every new subscriber. A different email sequence can be sent to subscribers segments, like qualified leads or users. Each of these email sequences is laid out with a dual purpose – to nurture, and to sell. Your subscribers are led to sales pages or product pages from within your emails to bring about sales. Of course, you could extend that to all sorts of use cases such as using affiliate links to make sales or to have subscribers sign up for something else altogether. While that’s the basic structure of sales funnels, each of those moving parts has to work together. Connect and integrate to win. Be wise to use the right mix of tools, applications, products, and services to ensure smooth working for your sales funnels. One funnel can’t service multiple offers. If you are making multiple offers like “Sign up for the newsletter”, “Download this ebook”, “join our facebook community”, and “Buy Now” – all on the same page, it’s not going to work. Too many funnels don’t work as well as they should due to these multiple offers for a single funnel. When you add so many offers, visitors normally freeze due to indecisiveness. Ads, for instance, are made for a specific audience with a single offer per ad. The same ad can’t have two offers, can it? Similarly, your funnels have to be singularly focused on exactly what you want your potential audience to do. For every offer, you are making and for every marketing objective, launch a dedicated funnel with the proper series of autoresponders and workflows for that funnel. The integrations and the initial setup is relatively easy. The design and copy used on your landing pages, your email subject lines, the email copy, and even the call to action button copy – that’s even more important. Business owners don’t have the time or patience to think through the minutest of details when it comes to sales funnels. Meanwhile, marketers and entrepreneurs are in too much of a rush to launch campaigns. As a result, sales funnel design and the copy used across the elements of the funnel aren’t given the importance they deserve. While it’s the combination of design and copy that actually brings in the money, most funnels today suffer from design and copy afterthought. Copy literally sells. Like trillions and more in sales each year, for the last several decades. Writing sales letters is letters should be one of your favorite tasks! Fortunes have been made just thanks to copy. Align powerful and yet simple copy with design and that’s when you have a winning funnel. If you depend on an average developer to help build landing pages, you’ll probably get an average result in terms of design and copy. Developers are not necessarily the best people to create beautiful designs or write high-converting sales letters. On the flip side, if you try to create the landing page yourself using popular tools, you’ll like face problems with design customizations, like aligning elements, and your landing page won’t look professional. The solution? Use a conversion-based page building tool like Scriptly’s or get a done-for-you service from a professional full-service agency. If you’d like an audit or to discuss your marketing strategy or how you can use landing pages and funnels to grow your business, book a call with us. 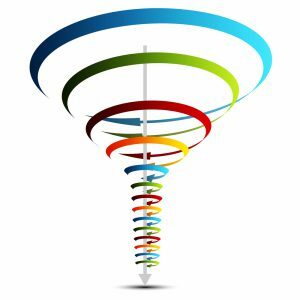 Funnels… All fine and dandy but the fact that you could gather, make decisions, and glean insights from several data points on your funnel is what gives you real power. When you use data, the decisions you make are not just based on conjecture, whims, fancies, or opinions. Combined data sets result from regular funnel use, testing, hypotheses, and more. Top marketers and businesses have already caught on with the power of using data to run smart campaigns and smarter businesses. About 90% of top companies are already using and sharing data between departments. In the case of funnels, most of the data you’ll work with lies in metrics that accumulate at the landing page level and then for your email marketing sequences. Beyond that, most of the data from hypothesis you’ll work with comes from the various (and continuous) A/B testing that you’ll do to test out various elements of your funnels such as ads, landing pages, email subject lines, call-to-action buttons, and others. 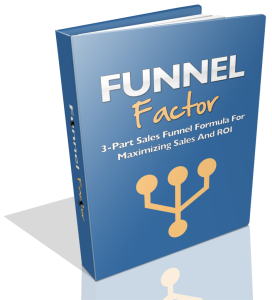 If you want to find out more about the ingredients in funnels that just work extremely well, download our Funnel Factor Report. 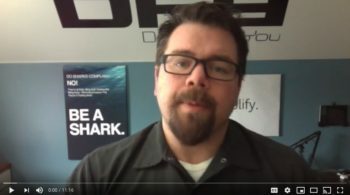 We also have a complete video series on Sales funnels if you’d like that. 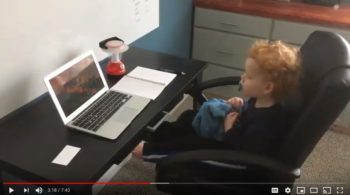 It’s a free 5-video mini-course revealing the time-tested formula for crafting winning sales funnels.